In an effort to continually improve OM Plus Delivery Manager (DM) a new version has been made available. This new version is version number 2.7.2.0002. Furthermore, the primary changes are around Epic install enhancements, integration with PrinterLogic, support for the new DM Web Client, and improvements in i-Sat performance. 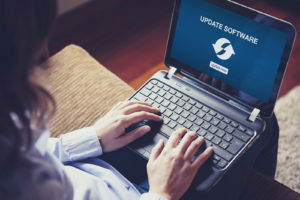 Specifically areas of change include OMMonitor Service, i-Sat Server service, purge process, zpl files, PrinterLogic support, complete jobs, improved Epic installation, printer naming, and new Web Client transaction support. OM Plus Delivery Manager (DM) is advanced, intelligent print spooler management software. Delivery Manager seamlessly ingests jobs from multiple systems and delivers them to printers, multifunction devices, fax software, email systems, and more. Rarely, changes are needed to existing ERP/EMR systems. Additionally, OM Plus print spooler management software features include: print confirmation, re-printing, re-routing, automated failover, load balancing, bundling, re-sequencing, and much more.